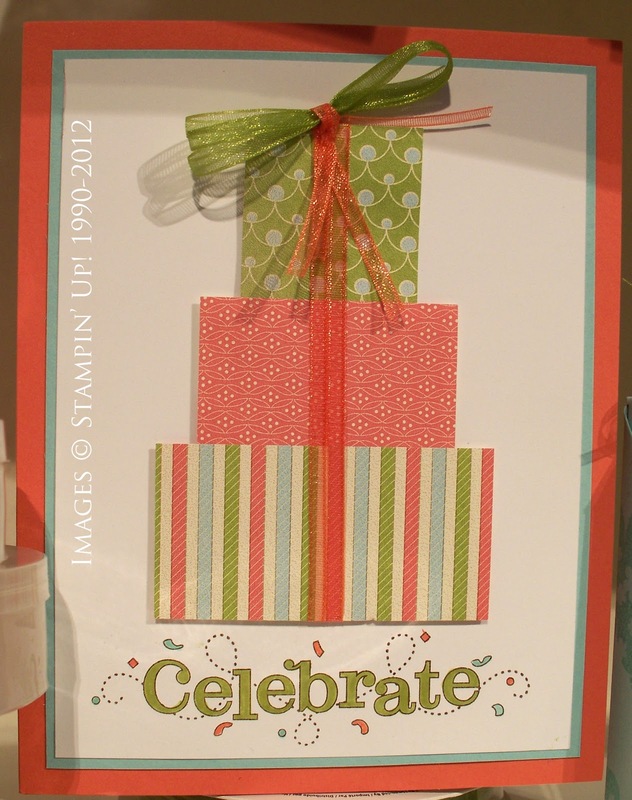 SHARING CREATIVITY and COMPANY: Sale-A-Bration is Here! 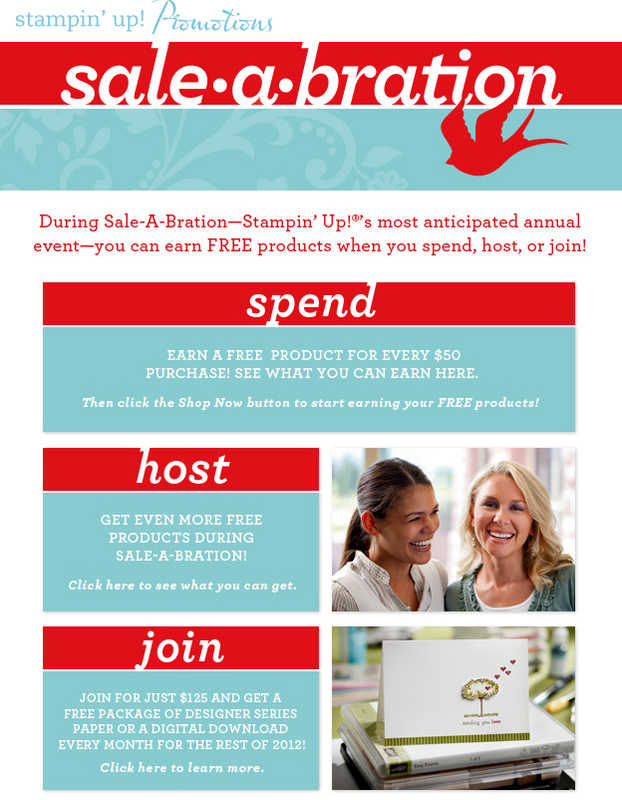 Sale-A-Bration, Stampin’ Up!’s biggest promotion of the year starts TODAY! You can earn free products as a customer, hostess or demonstrator. 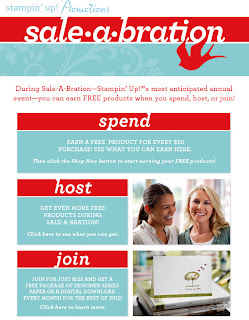 As a customer, you’ll get to choose one free item from the Sale-A-Bration catalog for every $50 that you order. As a hostess, you can earn a hostess tote and Sale-A-Bration bundle of products for FREE in addition to your regular hostess benefits. 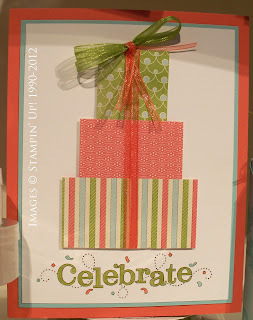 For new Stampin’ Up! demonstrators, the starter kit which is valued over $340 is only $125. And every month for the rest of 2011, you can get a free designer series paper pack or digital bundle! Contact me for more details at sharon@sharoncheng.com. Here are some of the projects from Leadership Conference that feature items from the Sale-A-Bration catalog. 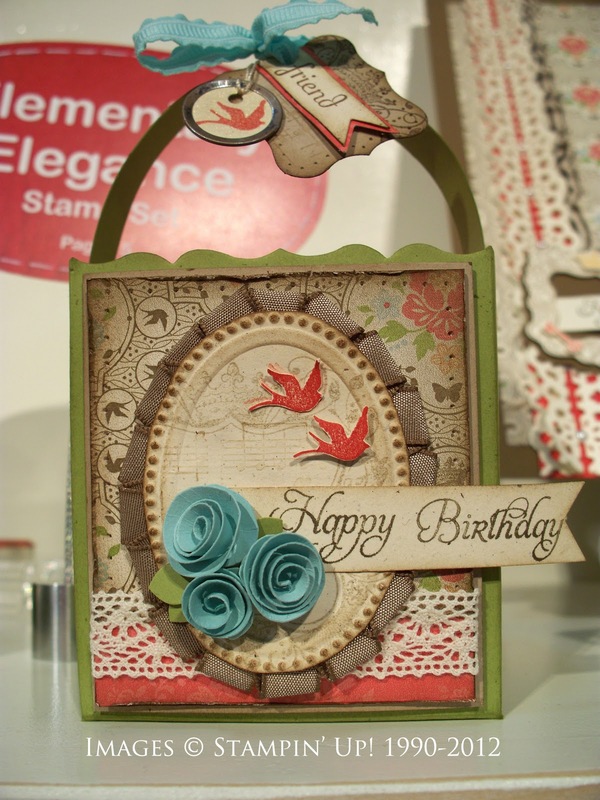 I love love love this gift box that uses the Elementary Elegance stamp set (125122) and Everyday Enchantment Designer Series Paper (126154). Stampin' Up! gave all of the attendees the digital version of the Everyday Enchantment Designer Series Paper (and the rest of the Sale-A-Bration exclusive products) at Leadership in San Antonio. Now when I run out of the paper, I can print my own! 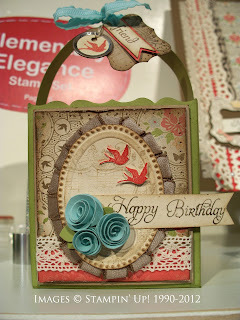 This card uses the Outlined Occasions stamp set (126016), Everyday Enchantment Designer Series Paper (126154), and ribbon from the Everyday Enchantment Ribbon and Brad Pack (127279). It's a cute card that won't take a long time to make. This card uses the Sprinkled Expression Stamp Set (125132). 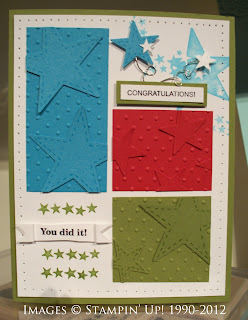 It would be so much fun to give this card to someone who reaches a goal! Contact me at sharon@sharoncheng.com to get a copy of the Sale-A-Bration catalog and to see which of the 3 ways to earn free products fits you the best!